For those of you that were able to join us for the service this past Sunday, we were met with pieces of green masking tape placed on items in the Sanctuary and throughout the building. These are the items that we are taking with us when we move. Pastor Tom opened the service by asking who was going to come with us to our new home, at which point he handed out some more green tape that everyone applied to themselves as a reminder that things are moving along and so are we. The solar panels are installed and generating electricity. Most of the lighting is installed and working. The bathroom plumbing has been installed. The cabinets have been delivered and should be installed this week. Countertops are being measured and ordered. The flooring should be finished by the end of the week. The Sanctuary seating is being delivered this week. The air conditioning units have been delivered. Let me repeat that…..AIR CONDITIONING……. That will be a pleasure. Target date is still the middle of May but that all depends on us getting our CO that will allow us to worship. Let’s fire up the prayer warriors and pray for smooth sailing through the rest of the process with the town and the inspectors. 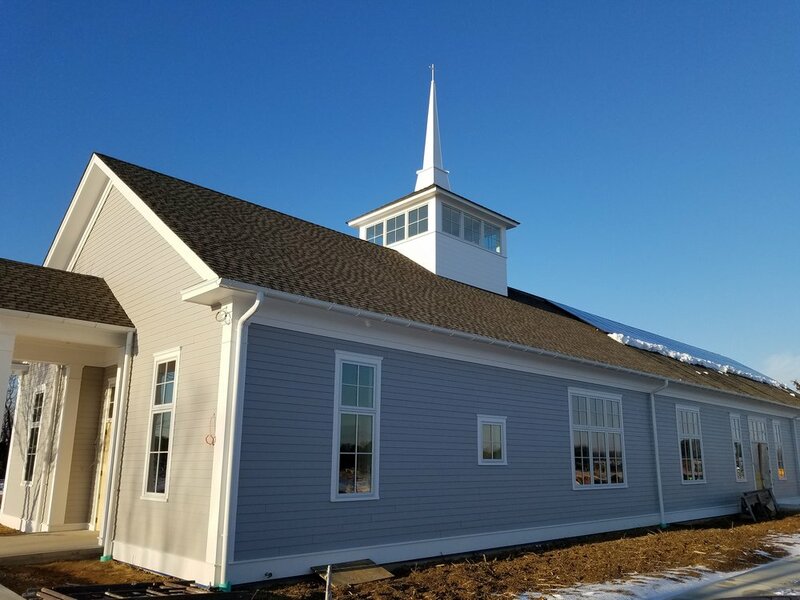 Next time you run into Pastor Tom or one of the church trustees, thank them for the wonderful job they have done moving this along.